Smart Shield end-tab fastener folder is made with a material that inhibits the growth of mold and mildew to protect the product. 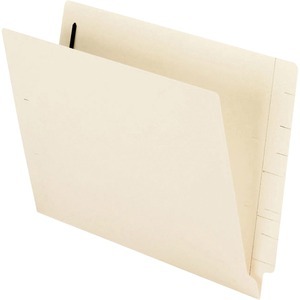 Constructed with durable 11 point manila stock, these letter-size folders feature a full-length reinforced end tab - perfect for open-shelf filing systems. One 2" bonded fastener secures documents.